Longstanding knee injuries can severely hamper quality of life. 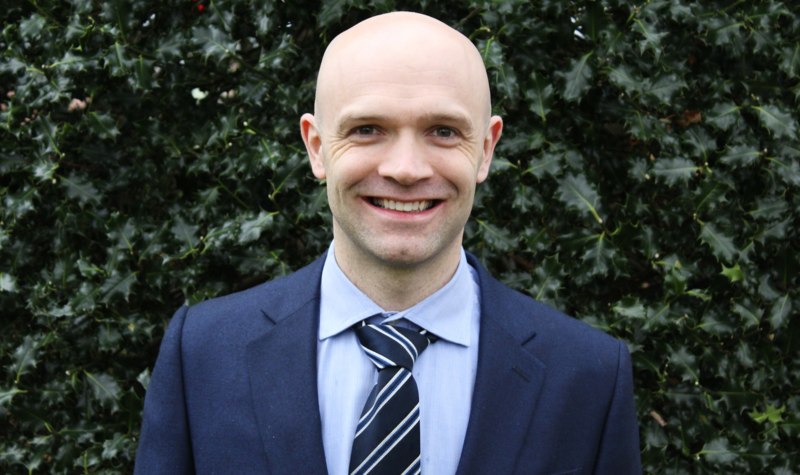 Treating these debilitating conditions requires a tactful approach and expert care, and Curtis Robb know exactly what’s required when a patient exhibits related symptoms. 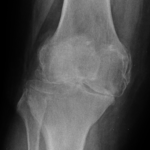 One of the most common knee problems is osteoarthritis, which can eventually lead to knee replacement surgery. We’ll take you through our osteoarthritis treatments step by step when you visit us, but the following overview provides all the basic information you need to know about knee replacement surgery before you come in. 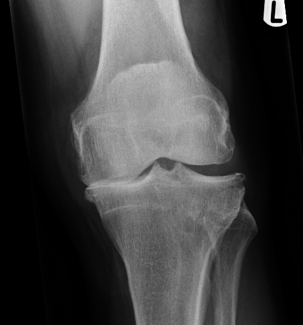 Osteoarthritis is a condition characterised by damage to the articular surface, leading to loss of cartilage until there is no lining left on the end of the bone. This creates stiffness and discomfort in the knee, and if left for too long, the bones rub against one another – which can be extremely painful. This condition can be brought about by injury, infection, inflammation (due to other conditions like gout or rheumatoid arthritis) and genetics, but repetitive stress and wear is the usual cause. To restore the function of your knee and to try to resolve the pain, knee replacement surgery can be a good option. We can treat osteoarthritis in two ways depending on the nature/extent of the injury: either through partial or full knee replacement. The most common place of wear in the knee is on the inside or “medial” compartment (Figure 1). The worn areas are the medial meniscus and the articular surface on the inside of the femur (medial femoral condyle) and tibia (the medial tibial plateau). 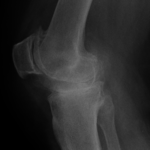 Arthritis usually develops if pressure increases on the articular cartilage, leading to degeneration. 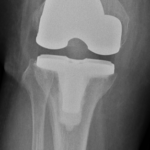 In most cases, we will seek to conduct a partial replacement rather than perform a full knee replacement. 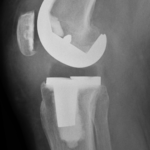 By removing the worn part of the knee only, you will experience a quicker recovery. The procedure also carries a lower risks of infection and blood clots (DVT – deep vein thrombosis) because this is less surgery than a full knee replacement and it often results in improved function of the knee, after several weeks, compared to a full knee replacement. 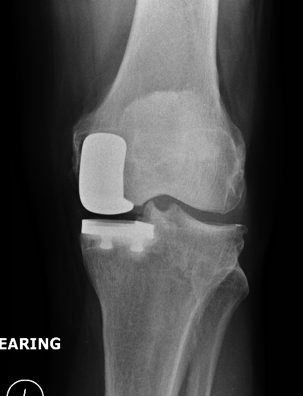 If the knee joint articular surface is worn out completely (Figure 3) on more than one compartment a full knee replacement (Figure 4) is often the best option. This operation is usually reserved for patients with global knee pain that’s difficult to manage by other means like weight loss, analgesic medication, injections, bracing, or arthroscopic knee surgery. A total knee replacement involves resurfacing the ends of the femur and tibia with metal and placing a polyethylene insert between them. This removes the bone-on-bone grinding to a smooth articulating surface – which normally lasts 10-15 years or more. It may sound daunting, but seeking treatment sooner rather than later for osteoarthritis of the knee could significantly reduce the extent of surgery required, as well as recovery times. If you have any questions whatsoever about treatment options, simply contact our team today on 01925 215 047 or curtis@curtisrobb.co.uk. We’d be happy to help in any way we can.